Day two of Head For The Hills festival in Ramsbottom saw a full program of music across the day from established national headliners like The Bluetones to local heroes like Liam Frost, Mano McLaughlin, Jess Kemp and FTK as well as up and coming bands from further afield in Deco and two German bands Razz and second stage headliners Giant Rooks. The weather held off and allowed the crowd to take in not just the music but the multiple other attractions dotted around the cricket pitch. 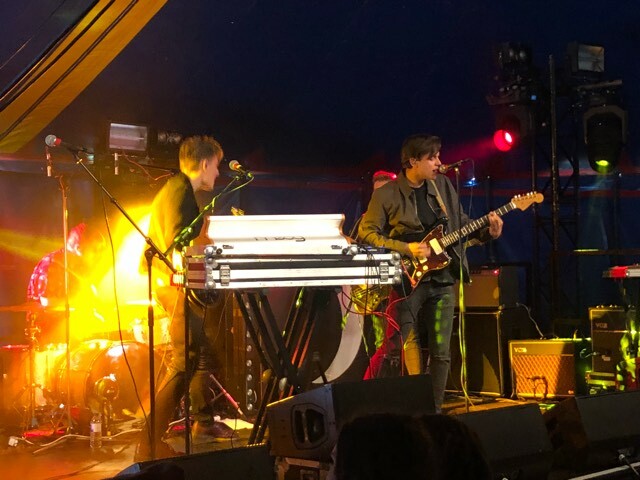 First up for us are Deco whose upbeat songs can be heard in the Smaller Rooms tent as we enter the site just after noon. These opening slots are never easy as the crowds can be quite sparse given the time, but there's a fair few gathered for the Nottingham band's set. 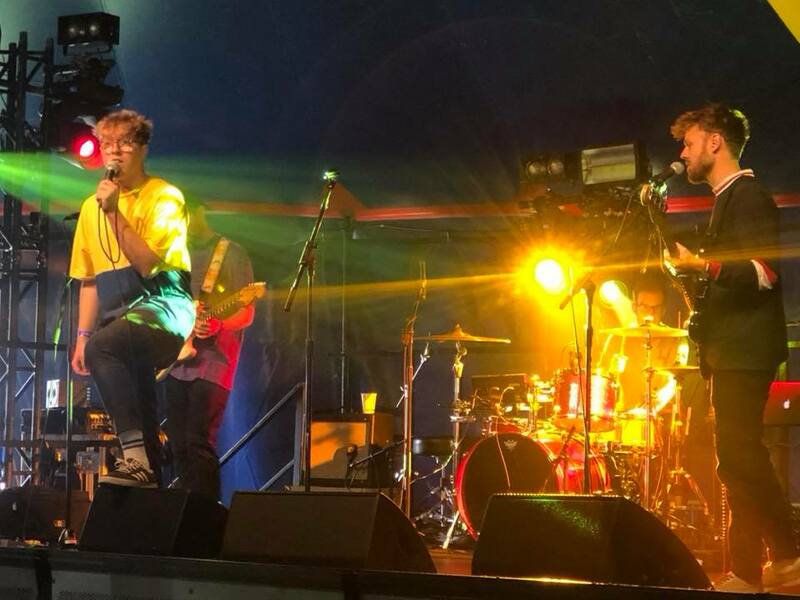 Front man Max's voice immediately grabs us, surprising in its range and power and with a variety that allows them to stand out in an increasingly saturated area of the new band market. They're not fazed by the early time slot either, performing as if they were headlining, Max coming down onto the barrier for their final song. 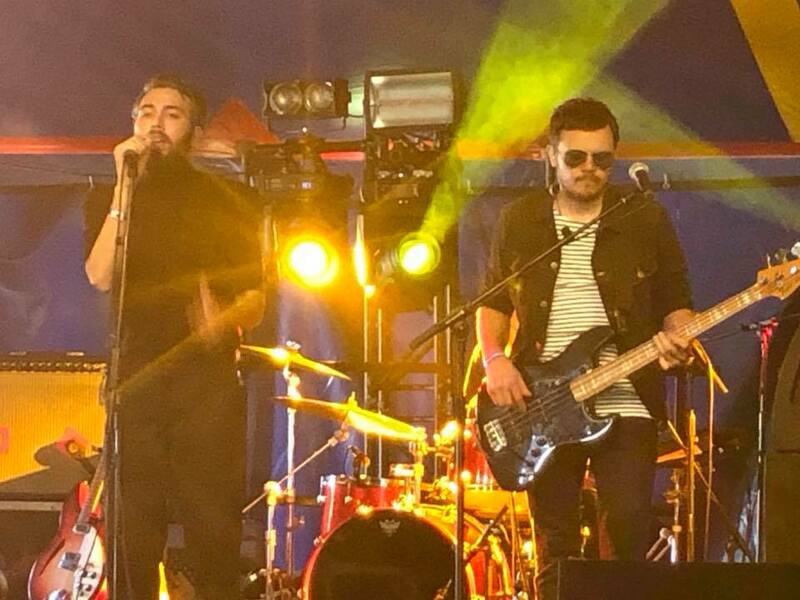 With new single Upside Down fresh out and another brand new one in the set (we think called This Is Your Time), they make a very positive first impression and they go down a storm with the growing and always appreciative and knowledgeable Ramsbottom crowd. 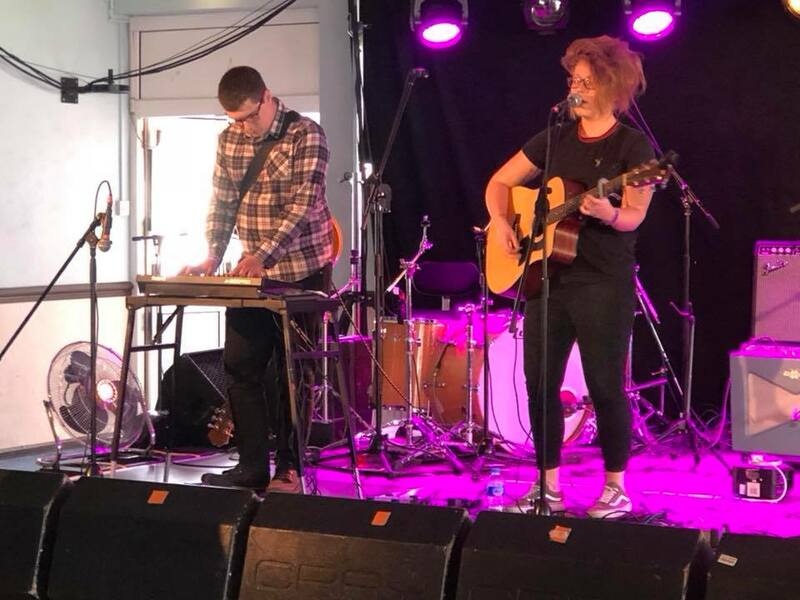 Next up is Jess Kemp on T'Other Stage which is situated in the cricket pavilion and which benefits from the sound expertise of the team from Blueprint Studios who also curated the line-up. 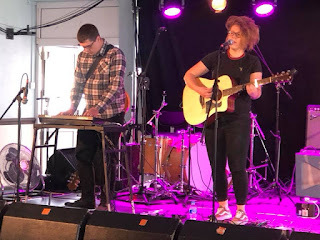 Her songs are personal, often funny (like Killer Shoes about someone she met on a night out who she took an instant dislike to) takes on situations in her life and accompanied by Sam on keyboards and guitar she delivers a set that's warmly received by a mostly respectful crowd. She includes a medley cover of Fleetwood Mac's Everywhere and Talking Heads' Psycho Killer as well as James' Sit Down in her set, but it's her own material, including new song Matter Of Time, the title track from her Camden EP, recent single No Shouting (where she tries to engage us in singing back to her) and the set closing Vondelpark where Jess really shines brightest, her expressive voice adding weight and gravitas to the words she's singing. One of the most underrated songwriters plying her trade in Manchester at the moment, the Ramsbottom crowd love her. 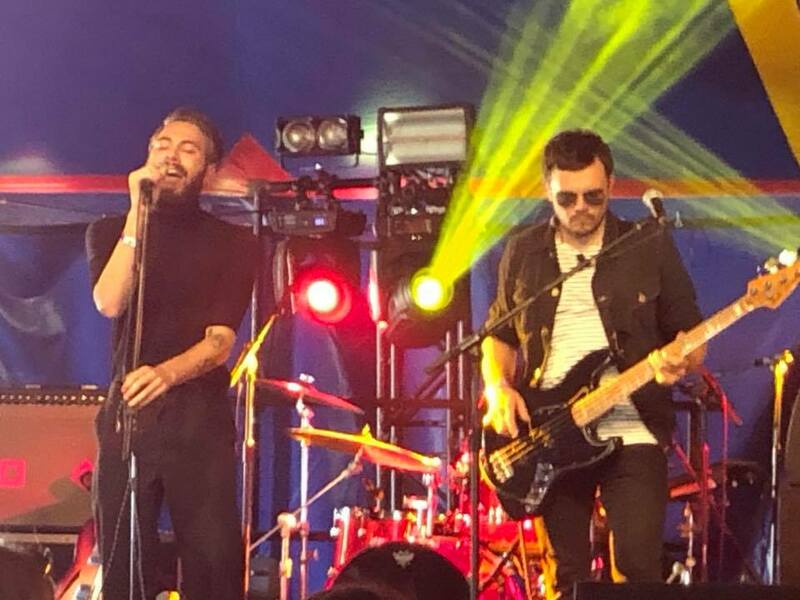 FTK (previously known as Feed The Kid) have been off the radar for a couple of years and this is their comeback gig over in the Smaller Rooms stage. Previous appearances at the festival and curiosity to see what the new line-up and approach has changed means there's a heavy crowd in the tent from the start of their set. 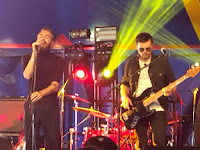 They've given us a taster of their new material already with forthcoming single Strange Times and the exclusive they gave us recently in Dirty Jokes and both feature early in the set. Interspersing songs with sound clips from TV shows they look and feel a lot more relaxed than their previous incarnation once the early nerves are dissipated. 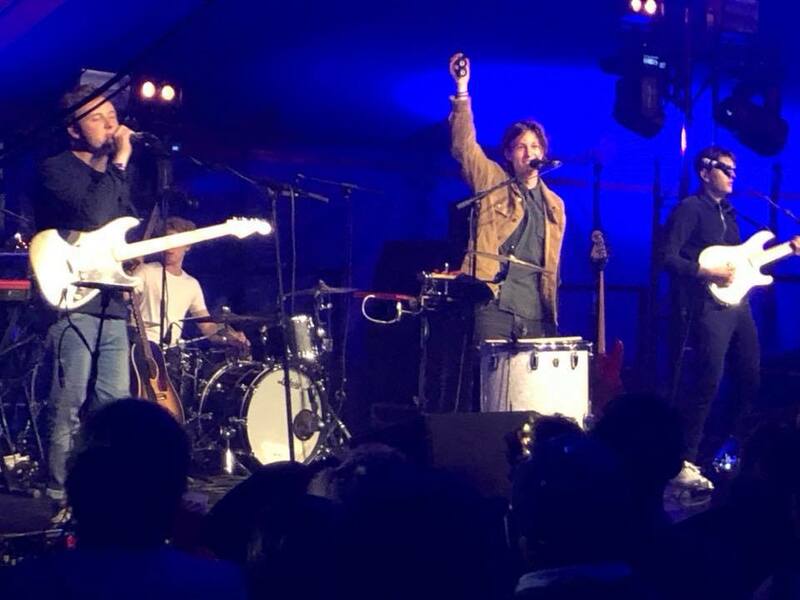 Curtis' voice is instantly recognisable, but on these new songs it's much more controlled and targeted and this gives the songs an immediate impact, aided by backing vocals that give them additional lift and fill the tent as people are drawn in from outside. 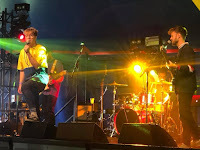 The highlight is one we think is called Day Job Daydream, but it's an impressive comeback overall and they're only just finding their feet again. Next up is another debut of sorts with Liam Frost debuting his Latchkey Kids project on the main stage. 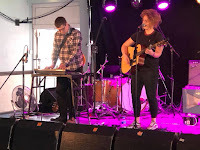 Some of the songs are familiar from acoustic shows, but they've now been fleshed out ahead of the release of The Latchkey Kids album later this year. 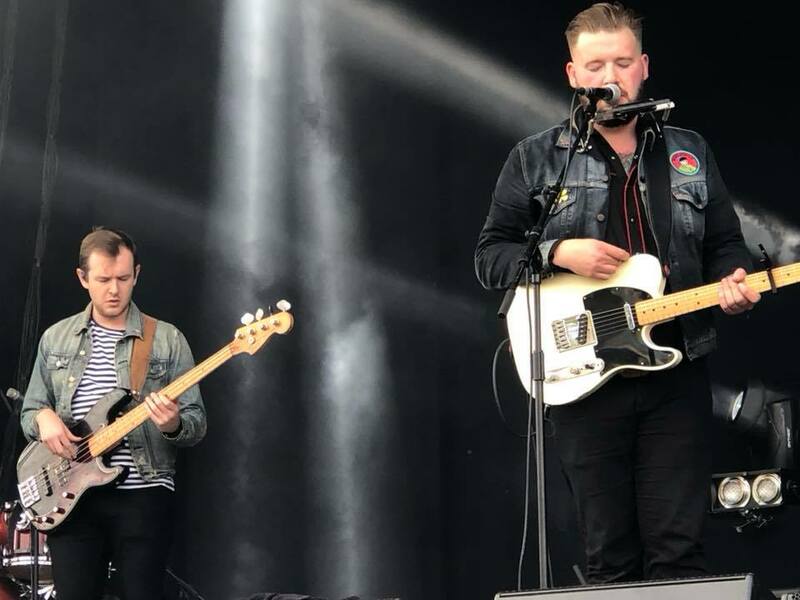 Like all Liam's previous work the songs are beautifully constructed, full of melodies and vocal harmonies, and perfect for a late autumn afternoon with a beer in hand out in the fields. 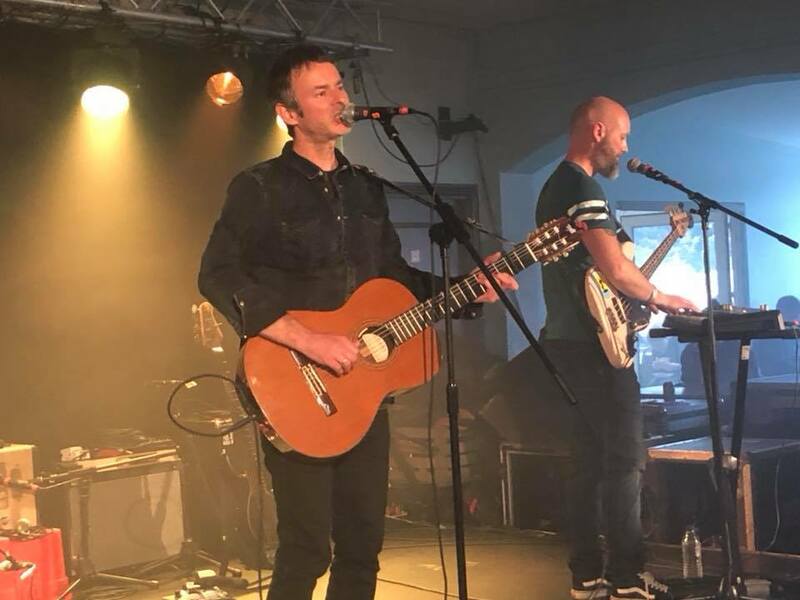 Those that we've heard before, like When I'm Alone, are fleshed out without losing the intimacy of the original solo material, and it's clear there's already a real camaraderie between Liam and the band, which includes Paul Heaton's songwriting partner Johnny Lexus. Songs like Follow You Around, Mercy Me, Pomona and Hall Of Mirrors Rope Of Sand augment the two he's already revealed - Smoke and The Slow Knife - to have us salivating at the prospect of The Latchkey Kids album that's been in the works for the past eighteen months and is nearing completion. 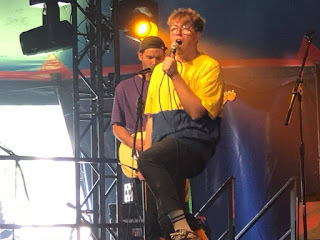 The audience are utterly charmed, both by the songs and Liam's amusing between song chat about the weather and beef rendang, and we wander off at the end salivating at the prospect of an album that's going to rank alongside his first two criminally underacknowledged classics. 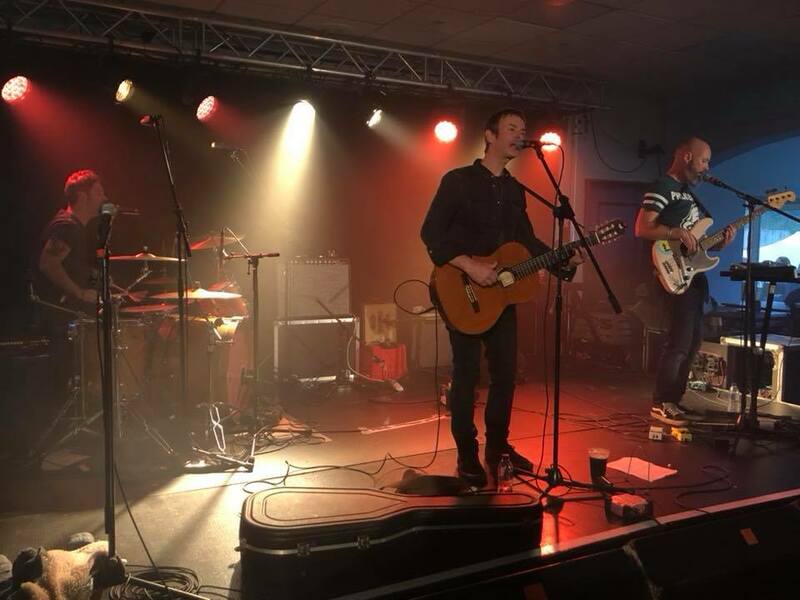 Razz regularly play to crowds of a thousand back home in Germany, but they're here at the end of a short UK tour with their first headline dates here. They trade in big heartfelt anthems delivered with power and precision, putting everything into their performance. Synth-heavy and guitar-laden tracks from both their albums - debut With Your Hands We'll Conquer and last year's Nocturnal - win over a crowd that probably knew little about them right from the very start and they finished their set with several hundred people taking the mantle and clapping along unprompted. 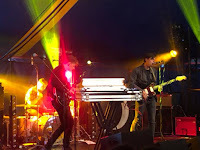 Black Feathers from their debut album is the stand-out track, but the standard never drops throughout in a set that's naturally focused on Nocturnal - a trio of Trapdoor, Another Heart Another Mind and Let It In Let It Out winning over any doubters and ensuring that the sound carrying across the field brought even more into the tent. Front man Niklas has a powerful voice with the reach and range to deliver the huge anthems in this relatively intimate tent, whilst his band mates provide the uplifting soundtrack behind him. They're growing in Germany and if this performance is any pointer they're going to be making their mark here very soon. It's back to the pavilion and T'Other Stage for Mano McLaughlin. Accompanied by Tim on drums and Gary on bass and keyboards, he runs through a set of songs mostly taken from his forthcoming album Then Lightning. 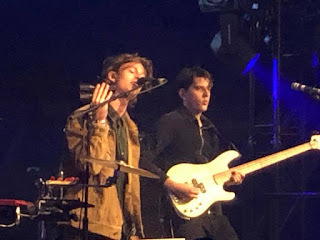 Some of them were previewed here in a solo set last year, but with the band behind him, the songs take on a new life. Whether they be about politics, like Big Truck, or about the schoolboy Mano meeting the man Mano on the wonderful closing track Bus Stop Strangers, the songs have a warmth and connection to them that has the majority of the audience listening rather than chatting away. The interchange of the three voices helps to give the songs lift at the right moments, filling them out without ever making them feel cluttered and taking away the intimacy that they possess. The songs are not overcooked, they shine because of their simple beauty, the fluidity that came from the recording sessions translated into the live performance here and that transmits itself to the audience. Mano's voice was made for telling these stories and his unassuming manner between them and modesty about what he's doing simply makes us love them even more. Chapels off their New Estate EP is a real crowd-pleaser as is the title track with which they finish their set. There's people on shoulders, hundreds jumping up and down on Fred's command and he finishes the set on the drum riser. There's such an incredible energy in their performance, a power and passion that swells from the stage and threatens to overwhelm the tent. The songs build then explode in a wall of drums, guitars and keyboards as the five-piece run through a set of songs that are surely going to have their name on a lot of people's lips when they reveal them. For a band that's hardly known here, it's a stunning performance that would quite easily have had the same impact across the field on the main stage. The looks on their faces tell us that they've had as much fun as the audience have by the end. That Ramsbottom fan club's numbers must have surged afterwards. "Good news, no new songs" Mark Morriss announces a couple of songs into The Bluetones' set. And good to his promise, other than A New Athens, the title track from their last album in 2010, everything else is 2003 and before. The majority from their breakthrough debut Expecting To Fly. Mark describes them their two best-known tracks Bluetonic and Slight Return from that album as songs you'd probably heard in a mini cab and they create the nearest you see to a mosh-pit as the Ramsbottom crowd politely remember their growing up in the heady days of Britpop. 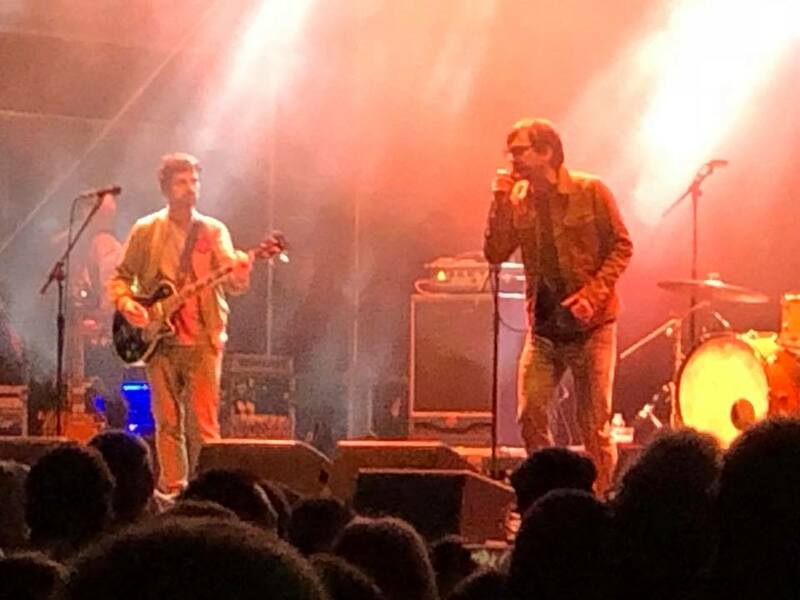 One of the few issues with this festival being family-friendly is that the atmosphere for the headliners isn't the same as a traditional gig and The Bluetones suffer from this a little as well as being a band without a huge theatrical show. Mark tries to lighten the mood with a couple of his wisecracks about chart positions, country ballads and being told how to do their job but they don't go down quite as well as he'd hoped. The Bluetones often get a hard deal when that era is being discussed. While Shed Seven headline and sell out Castlefield Bowl on their own, it's often forgotten that The Bluetones had just as many great songs that helped defined that Britpop era, and most of them are present and correct tonight including Cut Some Rug, Solomon Bites The Worm, Never Going Nowhere, Marblehead Johnson, Keep The Home Fires Burning and their everlasting adieu If. 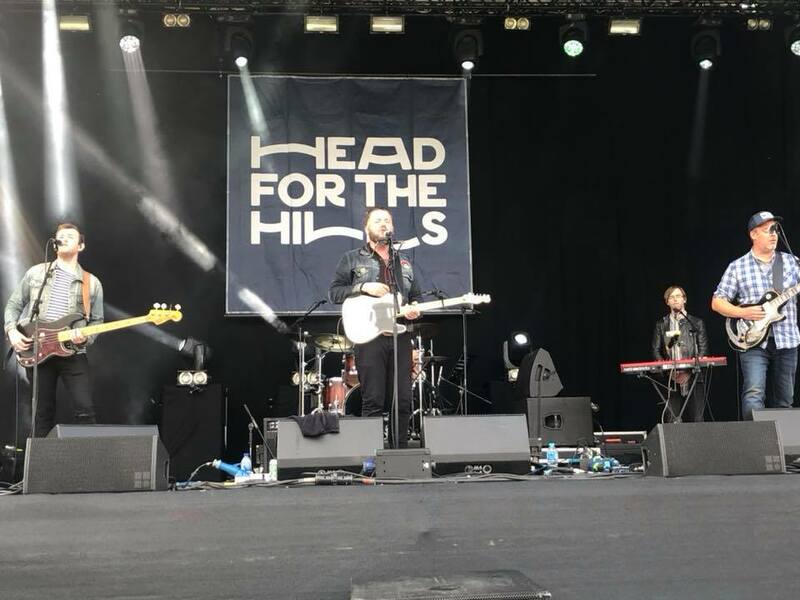 They're the perfect headliners for Head For The Hills because you know exactly what you're going to get and they deliver it. The Bluetones' official website can be found here. They are also on Facebook and Twitter. 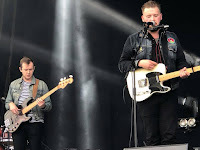 They play Wolverhampton Civic Hall (Sept 26), Leeds Brudenell Social Club (27), Ullapool Loopallu Festival (28), Liverpool Arts Club (29), Reading Sub 89 (October 1), Cardiff The Globe (2), London 100 Club (3) and Royal Tunbridge Wells The Forum (4). Giant Rooks' official site can be found here and they are on Facebook and Twitter. Mano McLaughlin's website can be found here. He is also on Facebook and Twitter. He launches the Then Lightning single at Salford's Eagle Inn on October 26. Read our interview with him here. Razz's official site can be found here and they are on Facebook and Twitter. 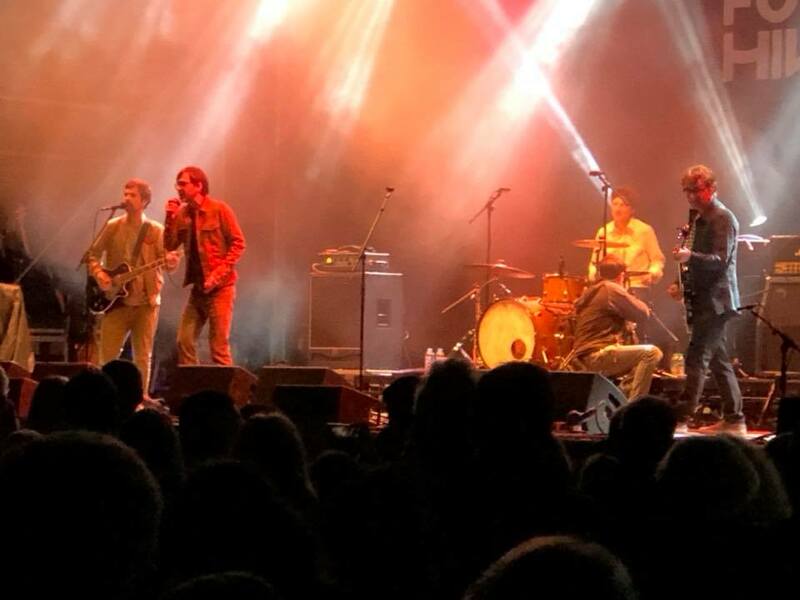 They play a big tour of their native Germany in October - details here. Liam Frost can be found on Facebook, Soundcloud, Youtube and Twitter. The website can be found here and the Pledge Music campaign is now live. Our recent interview with Liam can be found here. Feed The Kid are on Facebook and Twitter. They play Manchester Night And Day on November 23rd. Our recent interview with them can be found here. Jess Kemp is on Facebook and Twitter. Our recent interview with her can be found here. Deco are on Facebook and Twitter. 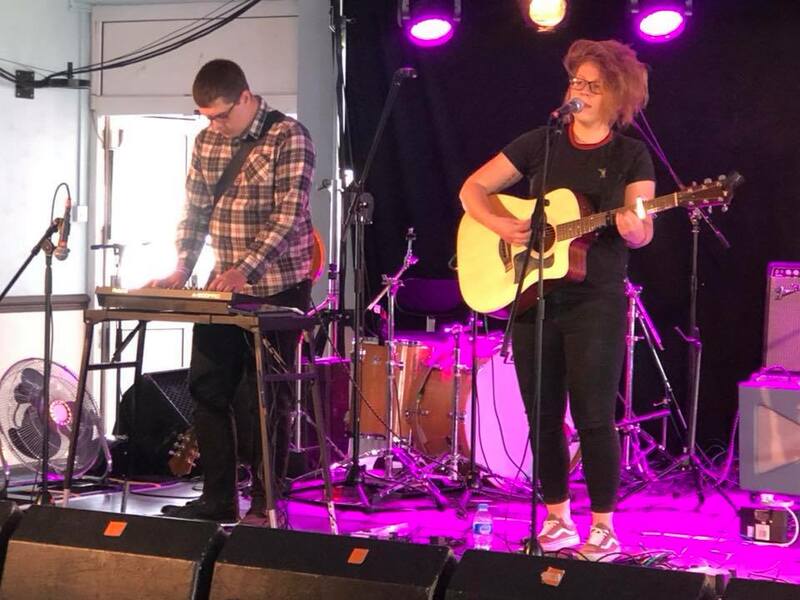 They play Bristol Crofter's Rights (October 2), Newcastle Head Of Steam (4), Nottingham Bodega (6), Birmingham The Victoria (13), London Thousand Island (20), Manchester Gullivers (November 3) and Southampton Heartbreakers (7).